Rio 2016 is underway, but during a commercial break, take a minute to brush up on Long Island Olympic medalists who have made us proud in games past. In recent years, female athletes from our area have brought some serious hardware back to the Island. Relive six moments of Olympic glory, and look out for basketball superstar Sue Bird as she competes for her fourth gold medal. Danielle Henderson pitched team USA to gold in their second game at the 2000 Sydney Olympics, throwing five shutout innings and striking out seven to beat Cuba 3-0. After graduating from Commack High School, Henderson was a three-time All-American for the University of Massachusetts Amherst Minutewomen and later spent four years playing in the National Pro Fastpitch League. She has since taken on the role of coaching future trail-blazing softball players like herself at UMass Lowell. Oceanside-born freeskier Devin Logan made history by winning a silver medal in the inaugural women’s slopestyle event with a score of 85.40 at Sochi 2014. Alongside her Olympic accolade, Logan has won three X Games medals and various Dew Tour, World Cup and Grand Prix titles. She is one of the only competitive female freeskiers to compete in both slopsestyle and halfpipe, following in the footsteps of her two older brothers she watched compete when she was six years old. Although born in Santa Rosa, California, swimmer Julia Smit grew up on Long Island, graduating from Mount Sinai High School in 2006. At the 2008 Olympics, Smit was a member of the 400-meter freestyle relay team that claimed silver, as well as the 200-meter freestyle relay team that won bronze. She also holds four gold medals and one silver medal from the 2007 Pan American Games. Born and raised in Great Neck, Sarah Hughes started figure skating at the young age of 3. As the only American woman at the time to have won an Olympic gold medal without first winning a U.S. or world senior championship, her 2002 victory seemed like a long shot. Hughes initially placed fourth in the short program, but her record-setting seven triple jumps during the long performance put the 16-year-old on top, ahead of Irina Slutskaya and Michelle Kwan, who won silver and bronze, respectively. Soccer star Shannon MacMillan took home gold in 1996 and silver in 2000 with the women’s national team. Playing as both a midfielder and forward, the Syosset-born athlete was voted U.S. Soccer Female Athlete of the Year in 2002 after scoring 17 goals and was later inducted into the Oregon Sports Hall of Fame in 2007. Since retiring she has been an assistant coach for the UCLA women’s soccer team. 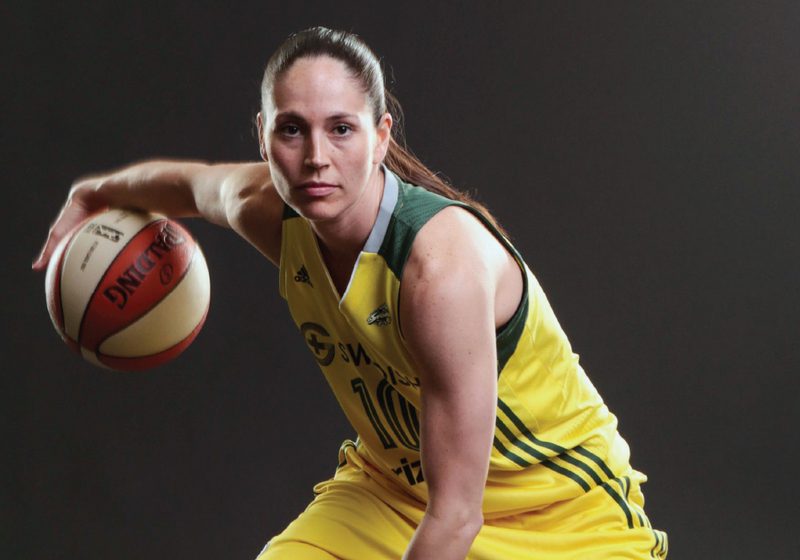 Basketball icon Sue Bird has collected three Olympic gold medals and shows no sign of slowing down in Rio this summer. After growing up in Syosset, Bird went on to win WNBA and NCAA titles, not to mention Olympic gold medals in 2004, 2008 and 2012. As a three-time winner of the Nancy Lieberman Award and seven-time WNBA All-Star with the Seattle Storm, Bird will go down in history as one of the best point guards of all time. Read more about Bird and fellow Long Islanders Crystal Dunn (women’s soccer) and Maria Michta-Coffey (women’s race walking) in the July/August issue of Pulse.